We updated this article in June 2018 to reflect cheaper options for beginners, the rise of ARF and micro-brushless quadcopters, and general editing to modernize the original publication from 2016. This hobby can be extremely expensive starting from scratch. If you watch a few videos and see all the components, tools for building, and gear needed, it can easily dissuade you from jumping in. We wanted to make a purchasing guide that can help you structure your investment into the hobby. Our goal is to help you start by spending a small amount of cash, and expand as your skills and passion increase. Moreover, if you find that the spark just isn’t there, it will help prevent you from spending way too much money right out the gate. To get the best deals possible, many of our budget recommendations come from Chinese manufacturers / vendors such as Banggood and Gearbest. We, along with thousands of other hobbyists, can vouch for these specific vendors. They are VERY similar to purchasing on Amazon, however do expect a longer shipping period! If you want to learn more about finding reputable vendors for racing drone products, check out our article on choosing drone retailers or our miniquad vendors list! The bare essentials for flying. My battle worn Hubsan pictured. 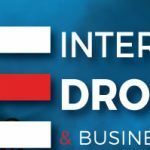 If you browse this site for a while or read our beginners drone racing guide, you will see this recommendation mentioned in nearly every introductory learning topic. If you are at all interested in flying quadcopters, get a micro quad first. It is the simplest investment that you can make that will a) give you knowledge and muscle memory that transfers directly to larger quads and b) will give you an inkling if you even like the hobby. We have seen many bright eyed hobbyists pick up the best of the best gear from the get go, only for it to end up collecting dust in a corner a month later. A micro quad like the Eachine E010 can be had for around $15 and is a great entry path into the hobby. If you are having a blast zipping around in your micro quad and can’t get enough, you will definitely enjoy taking the next step. On the other hand, if you find the micro quad frustrating to fly, and aren’t really having fun with it, chances are you will be just (if not more) frustrated taking the next step. If you are really ambitious, consider getting a micro brushless FPV quad. The price barrier has rapidly dropped for this style of quad, and they fly almost as well as their larger bretheren. For around $75-125 (+transmitter), you can experience FPV flight, learn about tuning, and have an amazing flying experience. These style of micro quads have so many features that you may never even want to move on to full size! If you do decide to go the brushless FPV micro path, your purchasing decisions will change slightly. Skip down to the “Get in the air quickly: Brushless Micro FPV purchasing” section near the end of the article. If you are starting from scratch, check out our articles where we list our favorite micro quads and our articles on training with a micro quadcopter. Basic brushed micro quad $20-$35 depending on model. We like the frequently discounted E010 for ~$15! Brushed FPV micro quad $75-125 + transmitter. See information at end of article! Section Total: $15-35 to get started, $75-100 for a more advanced craft that can last longer (but requires different purchasing, skip to the end for more information). For running total we will show the range between the low end and high end price totals. Remember, these are just estimates! Most micro quadcopters come with one battery and a few spare props. If you start really flying your new toy all the time, you will quickly be frustrated by the downtime spent waiting for batteries to charge. This is a good thing though! This means that you are into the hobby enough where you want to be in the air longer. Our next purchase recommendation therefore is to expand your tool kit and gear for your micro quad. For our Eachine E010 recommendation, five extra batteries and a multi-charger can be had for around $15! Similarly, you are probably at a stage where you are venturing outside of the house to a local park to fly around. Picking up some gear to make your field experience better is also a great step at this point. Best of all, most of the gear you pick up here can be used later in the hobby, or for other hobbies and sports. Things like collapsible chairs and agility cones will help tremendously in training – with a micro quad now and with an FPV racer down the line. We put together a planning and prep article that details all the different gear that you can get to make your training that much more efficient (and fun!). Extra batteries and multicharger $15 for the Eachine E010 pack. Section Total: $15-30 for quality of life items. At this point, for around $50 you can have a micro quadcopter and plenty of batteries to push it to its limits. If you also picked up some quality of life improvements for the field, you are probably sitting around $75 total invested. This should provide a ton of training hours and fun! If you are having a blast after spending days / weeks crashing and learning, then you are probably ready to move to the next step. If you just aren’t feeling it, then hey, you are less than $100 in the hole. Taranis + simulator is a great learning pair! The battle scars on your micro quad show the hours invested in training. You can do flips around the house, are comfortable hitting small gaps, and are looking for new challenges. I think it’s safe to say if that describes you at this point, then you will probably enjoy expanding into the hobby further! Now it is time for our first purchase in the full-size market – your radio transmitter. “Wait, wait, wait,” you might say, “I don’t even have a real quadcopter yet, why would I buy a transmitter and not a quadcopter?” Great question! The reason is, getting your full quad is going to be another big expense, and is definitely the item that will ‘wear out’ first. As a new pilot, you will crash constantly (which is a part of the beginners learning process) and likely damage parts left and right. We highly recommend using a sim before real airtime to help save you frustration and money on repairs. To do so effectively, you want to learn using the transmitter you will be flying with to build up muscle memory that will transfer directly to real flight. Simulators are amazing tools that let you practice line of sight flying and FPV right in your house. There are a ton of options on the market right now that can really test your abilities and give you a ton of training from the comfort of your home. Check out our list of simulators and reviews here. Moreover, your transmitter probably has the highest resale value of any of the items you will buy for a full-size drone racer. Our favorite transmitter, the Taranis X9D, has been out for years and you’ll still be lucky to find one on eBay for less than 80% of the MSRP. Since at this point it will mainly be sitting plugged into your computer at home, it will remain in good condition as well. This means if after you start putting time into the simulator and find that FPV isn’t for you, reselling your transmitter can help you recoup your investment at minimal loss. On the other hand, selling used quadcopters can be more difficult depending on the wear and tear as well as the components used in the build. However, like everything in this hobby, there are a ton of options to fit your specific purchasing needs. Your radio transmitter is an especially important purchase, as it will determine what radio receivers you will use on your actual quadcopter. We highly recommend checking out our radio transmitter buyers guide to help you in your purchasing decision! Radio transmitter – Taranis, Spektrum, etc. Expect to spend around $200 on a nice transmitter. Use our transmitter buyers guide for guidance! At this point, you have all the tools needed to keep your micro quad in the air and a transmitter to build your skills in a simulator. 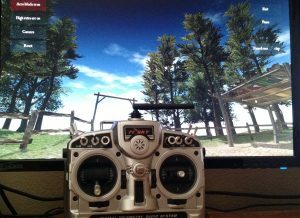 Now you want to practice with both – spend time flying your micro quad and hitting the simulators hard. When you are not flying, you can read guides (like our Drone Racing Guide!) and watch videos to further your learning and prepare yourself for taking the next step. Spending wise, you will be somewhere around $250-$300 invested, and should have a much clearer feeling if this hobby is for you. If you still have the itch at this point, it’s time to really get in the air. If not, everything can be resold at minimal loss. It’s time to buy a quadcopter! Before you do so though, there are tools you will absolutely be required to purchase in order to build, or at least maintain and repair, your new investment. We recommend budgeting for and buying these required tools first to make sure you have everything on hand when the actual building commences. You don’t want to get mid-way through your first build and have to hit pause because you don’t have the right tools to put things together. This will slow your momentum and cause the build process to be that much more frustrating. Even if you are going with a “Ready To Fly” (RTF) or “Almost Ready to Fly” (ARF) option, a crash requiring a repair means many days out of the sky while you wait for tools. We put together an article on all the tools needed for building a quadcopter. For this step, we recommend picking up all of the “required” tools before purchasing your first quadcopter. Hand tools (see this article for full list) You will need hex drivers, pliers, etc. Be sure to check your home toolbox for these first! Expect around $30 in spending. 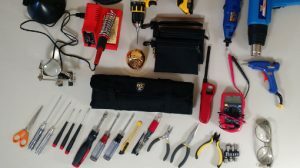 After grabbing your tools, you should have everything required for building or maintaining your first quadcopter. Best of all, the above tools and gear will be useful for years and across a ton of different hobbies! From this point, the purchase totals will depend on what you purchase – be it an RTF quad, building from a kit, or from individual parts. The part you have been waiting for! It is time to get a real quadcopter! Now come some serious choices though. What is your budget? What are you looking to fly? Your first step should be reading our drone racer buying options guide. 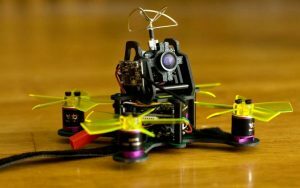 This will help run you through the pros and cons of building from a kit, from parts, or purchasing an RTF/ARF quad. Each of these have different financial impacts. At this point, unless you are purchasing ARF/RTF, find a great deal, or have budgeted for it, you can skip the video components required for FPV. While this may be your eventual goal, it is not required to get you flying. You can continue flying line of sight with your new quadcopter in replacement of your micro quad! This way you can get more practice without having to spend the $200+ on FPV gear. Don’t worry, getting video equipment on your quad is our next recommended purchase! Also, don’t forget to buy propellers! Many kit and part packs come with a set or two, but you will definitely need more. Propeller’s have certainly become stronger over the years, but we still recommend aiming for at least 5-10+ full sets to keep you busy for a while. At the same time, don’t overbuy props! We have made this mistake before and as the technology changes, many prop options have become more or less obsolete. Buy enough where you have plenty for the occasional breakage, but not a lifetime supply! Building from a kit or parts – use our buyers guides! If you are building your quadcopter from parts or from a kit, you will want to use our buyers guides. These guides break down what to look for when shopping around and our recommended purchase items for each component. Similarly, we recently put together a competitive DIY drone racer that can be built for under $200! Spare parts for building – bolts, velcro, zipties, etc. Finally, when it’s time to build, check out our build a drone series. This guide contains every step needed to successfully put together your first FPV racer! Purchasing an ARF/RTF – read our guides and reviews! Budget pre-built quads can provide exceptional value and allow you to get flying quickly. Open the box, hook up a few final components, a battery, and you are airborne! 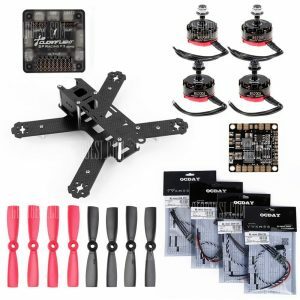 ARF and RTF quadcopters have taken the hobby by storm, and there are an insane amount of options at various price points available. Read like crazy: ARF/RTF quadcopters allow you to skip a lot of the hassles of building your first quadcopter. However, it is inevitable that you will at some point crash and need to repair your quadcopter. Skipping the build step may make troubleshooting more difficult. We put together a beginners guide for ARF racing quadcopters that is a great stepping off point. These articles will help teach you what to look our for, miniquad anatomy basics, and more. Seek out reviews and do your research: Cheap ARF/RTFs are a double edged sword. There are some amazing value buys alongside a lot of crappy options. 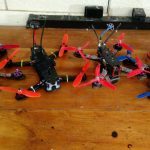 Before purchasing an ARF/RTF quad, read reviews on Propwashed, RCGroups, or at least do a simple Google search for “[quadcopter name] reviews” before spending your hard earned money. RTF/ARF: Eachine Wizard, Furibee GT215 Expect $130-200+ for a solid racing drone RTF kit. Kit build – Dubai 210, MQB ZMR Expect $150-300+ for a kit build. Build from parts (use our buyers guide!) Huge range depending on parts list, but expect at least $200-500. In addition to buying your quadcopter, you need to purchase batteries to keep it airborne! Batteries can be purchased when you order your quadcopter to help save on shipping from various vendors. Many vendors offer chargers, so usually it is worth saving the cost on shipping for beginner level gear. If you want higher end gear, you may have to purchase these separately. Drone batteries can be tricky to purchase. The LiPo batteries we use to fly our quadcopters can be volatile when damaged. Thus, shipping restrictions might exist depending on where you live. Similarly, you should read up a bit on LiPo safety. 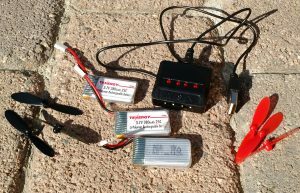 We have a series on drone LiPo battery safety you can read here! Like propellers, the ‘flavor’ of batteries used in the hobby changes frequently. We recommend checking our our drone LiPo battery buyers guide for up to date information. Batteries (4s – see buyers guide) $25+ depending on brand and C rating. Battery charger $40-200 depending on quality and number of batteries that can be charged. 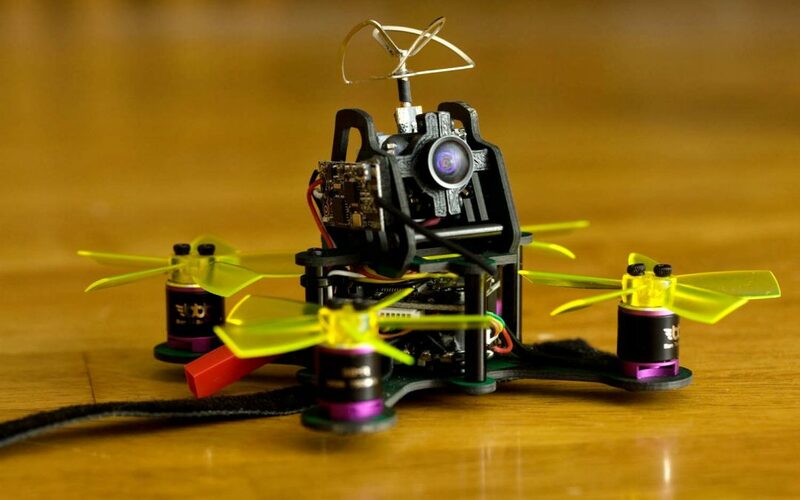 To round out your quadcopter for racing, it is time to get it equipped with FPV equipment! This will mean purchasing the on-quad components such as a video transmitter and camera, as well as the headset used to see the camera’s POV. We recommend purchasing the headset first, as you can use it at flight events to tune into other racer’s video streams and watch the competition. If you purchase your transmitter and camera gear first, you won’t have much use for them until you can see them through the headset! 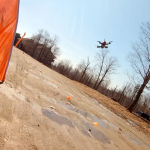 If you decided to go with an RTF quad, it likely came with a camera and video transmitter. In this case, you just need to pick up a headset and you are good to go! FPV headsets can be expensive. Really expensive. The top of the line FatShark Dominator’s have been the goggles to get for years, but can set you back $300-500+ depending on what options you decide on. Additionally, depending on your vision requirements (do you wear glasses? ), some headsets might not work for you. Thankfully, there are a ton of buying options. 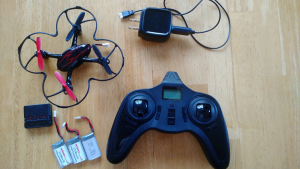 We personally love the Eachine EV800D’s and they can be had for around $100. You can find a wide range of goggles in the $40-60 range for the budget minded hobbyist. We recommend checking out our FPV video headset guide to get an idea of what is on the market – it definitely is a wide range of features and pricing! FPV camera $40 can net you our recommended Runcam Swift 2! FPV antennas $20+ for matching antennas for your goggles + quad. We like the Aomway 5.8GHz Omni for around $7 each! So in summary, to get from absolute zero to the complete FPV setup with all gear, expect to spend around $600 for quality components. This will give you the flying equipment, training, and tools you need to stay in the hobby for a long time. The bulk of these items should take little wear and tear (tools, FPV headset, radio transmitter) and maintain solid resale value. Obviously equipment can be found cheaper (or more expensive) based on sales, quality, etc. If you are looking to go all in with top of the line everything, you can expect to spend around $1500. Big chunks of this cost come from the FPV headset (FatShark Dominators at around $300) and radio transmitter (Taranis X9D at around $200). This article isn’t aiming to give a perfect price guide, but rather structure your purchase order and give you rough estimates on pricing. Now that you have a fully kitted out quad, you might want to purchase some other unnecessary (but fun) items. We plan to do another guide on which parts to prioritize when upgrading and purchasing more top of the line components, but here are some ideas for now! Action Cameras: If you want to capture footage in the sky, the easiest way is with an action camera like a Runcam2, Yi, or GoPro. You could get a DVR to record your flight camera, but the quality will certainly be lacking. Check our our action camera buyers guide for more HD video options! 3D printer: a big investment, but if you want to really dive into creating your own mounts, gear add-ons, and other accessories, a 3D printer can be a lot of fun. Check out our article on using a 3d printer for creating quadcopter parts here. Fancier video/transmitter gear (diversity modules, base stations, etc. ): If you want to extend your flying range, or improve your video quality for racing, these products can be a great investment. Advanced pilots gung-ho about competitive racing or distance flying should look into these. See our articles on advanced components such as the Connex ProSight and LaForge diversity module. As we mentioned at the beginning of this article, micro quadcopters are a great way to learn to fly. Starting in 2017, many budget options have arrived for brushless FPV micro quadcopters. These quadcopters are micro versions of their larger brethren. They use similar components, you can load and tune software, and fly FPV right from the get go! These quadcopters are great for flying nearly anywhere, are cheap to get started with, and a ton of fun to fly. They won’t offer the range, speed, or durability of their big brothers, but they are a great entry point for the more advanced hobbyist. Most micro brushless FPV quadcopters are sold without a radio transmitter. That means you will need to purchase your transmitter before purchasing one of these quadcopters. Our radio transmitter buyers guide can help you make that decision. This does increase the entry cost comparative to a $20 brushed micro like the Eachine E010, but if you are absolutely sure you want to get into the hobby, it is definitely the most bang for your buck. After purchasing your radio transmitter, you are ready to buy your brushless micro! 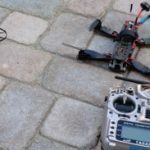 Most brushless micro quads are sold “Bind and Fly” (BNF) where they come with a radio receiver, or “Plug and Play” (PNP) where you purchase your own radio receiver. Most first time purchasers will want to go BNF. The receiver option you select while purchasing will depend on the radio transmitter you bought. Again, read our radio transmitter buyers guide for more details if you have any questions! Expect to spend $100-125 on the quad if purchasing BNF, ~$100-200 on your radio transmitter, and $50-300+ to get rolling with FPV. On the budget side, you could get airborne with FPV on one of these brushless quads for around $250 with decent gear. Extras like tools, batteries, and other accessories should be considered as mentioned in the above list. 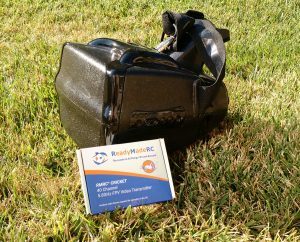 The main downsides are pretty much what you would expect: range and battery life are limited, you wont really be able to capture HD video of your flights, and these little fliers are definitely more susceptible to wind and propwash. Repairs can be difficult and require proprietary parts that may be hard to find. However if you are looking to race indoors, or fly around the house or park, these brushless micros are a ton of fun. 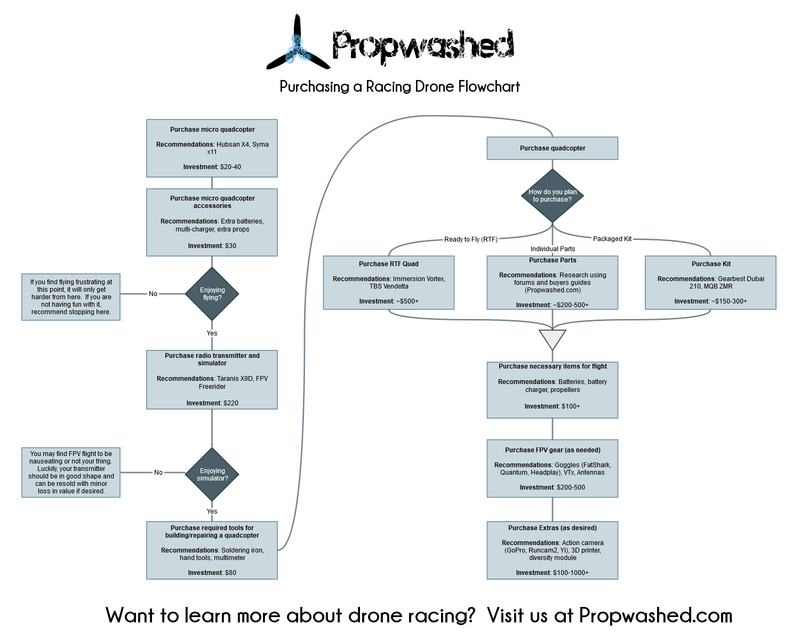 Hopefully this helps structure your purchasing process from absolute beginner to drone racer! While this list may not be for everyone, we tried to structure it in a way that helps test and build your interest in the hobby while keeping spending down. We created a flowchart that can help guide your purchase decisions. While it does list some older components, the pathway is still the same!